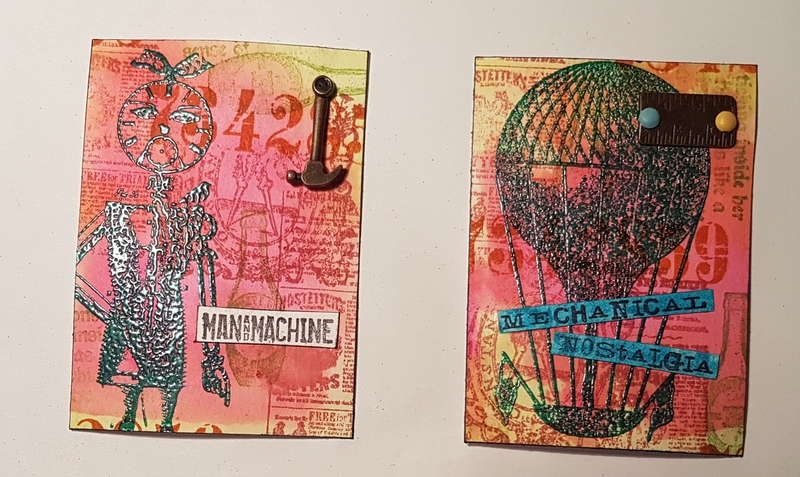 I have a couple of ATC’S to share today made for the Artful ATCs swap where the theme this month is Steampunk. 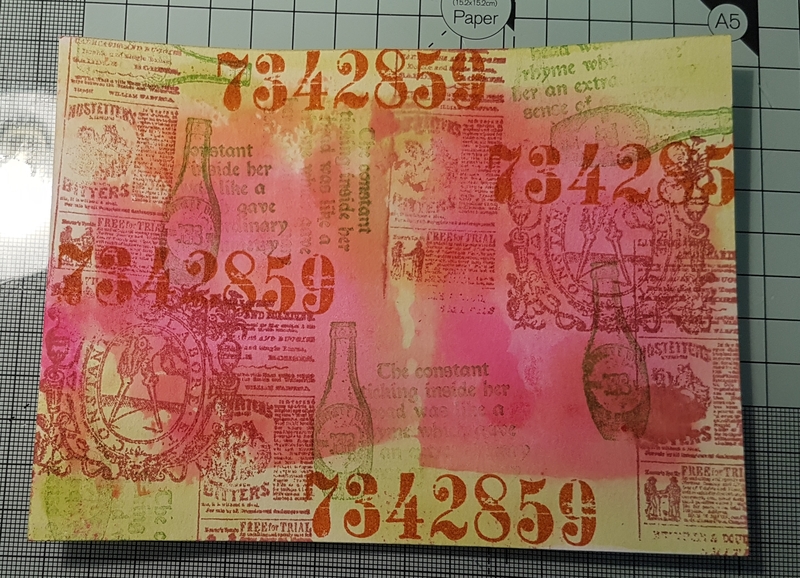 I started with this piece of card onto which I had blotted some other atcs made with Distress stains and then added some more stain to finish colouring. 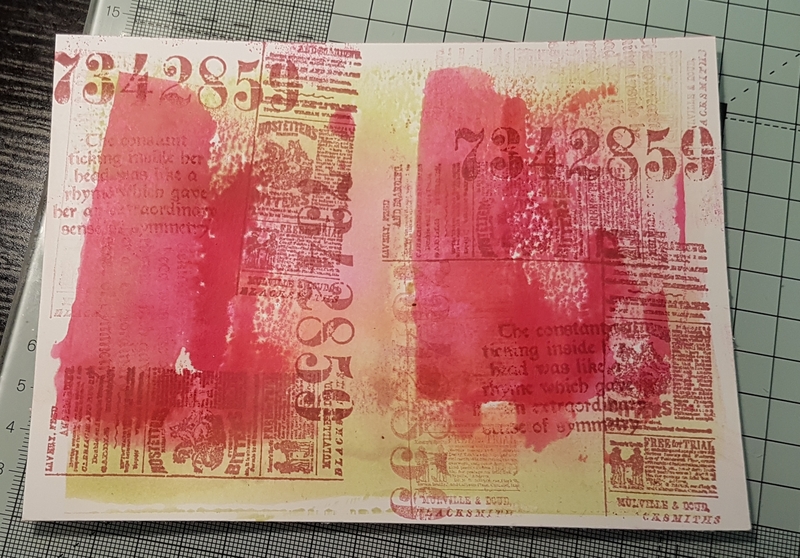 I had then taken some Hot picks stamps from Paperartsy and using different coloured inks stamped them all over. Whilst I was at it I also created another sheet below. 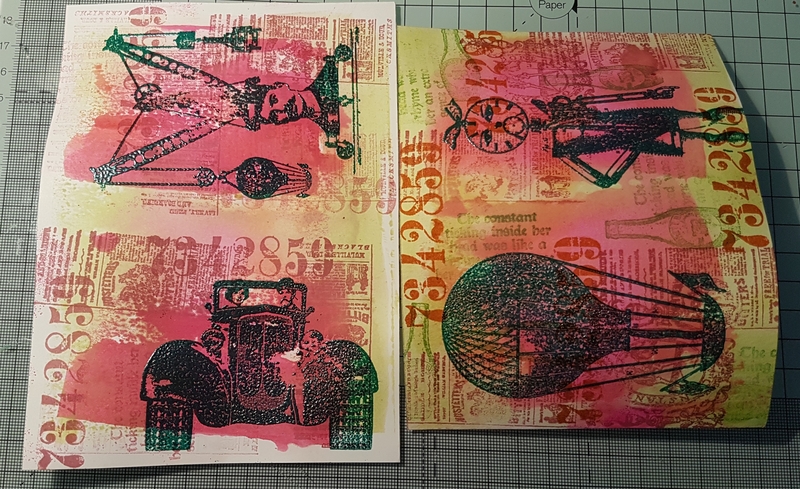 I loved both of them so decided to get emboss onto them the feature images from the Hot picks stamp sets. I used am emerald green embossing powder to add contrast. 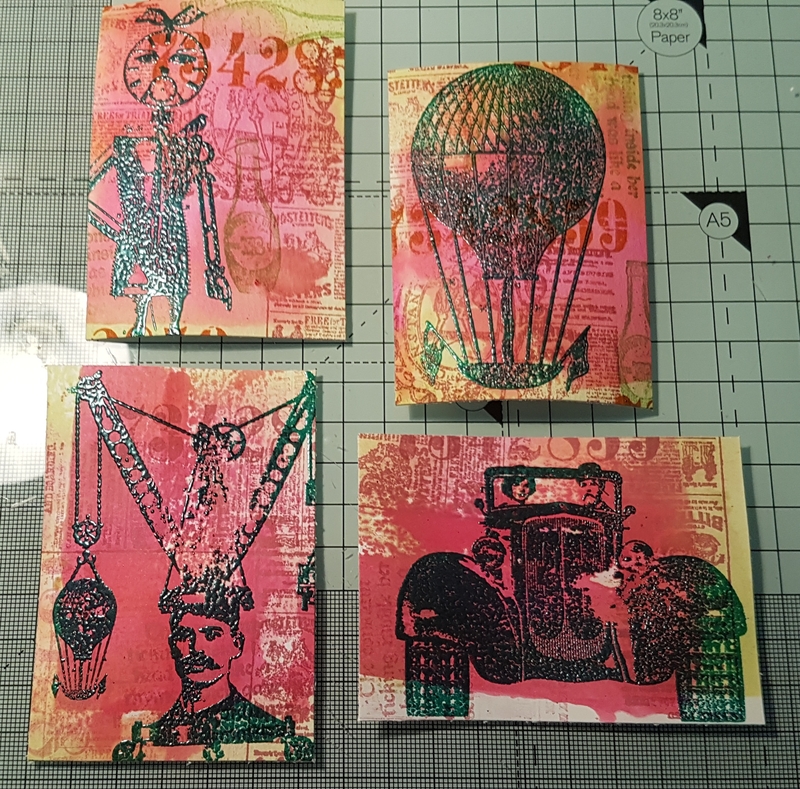 I then cut each up into ATC size and chose the two I liked the best for the theme … the top two. The others I will no doubt finish off at some point soon but for now they are in the PhD pile (Projects half done!). 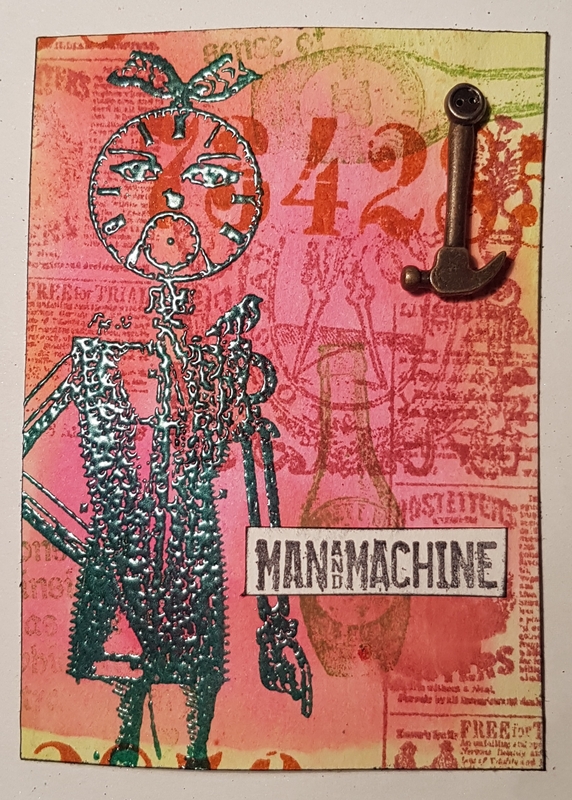 I added little embellishments using brass to them and then stamped sentiments from the same Hot picks sets. 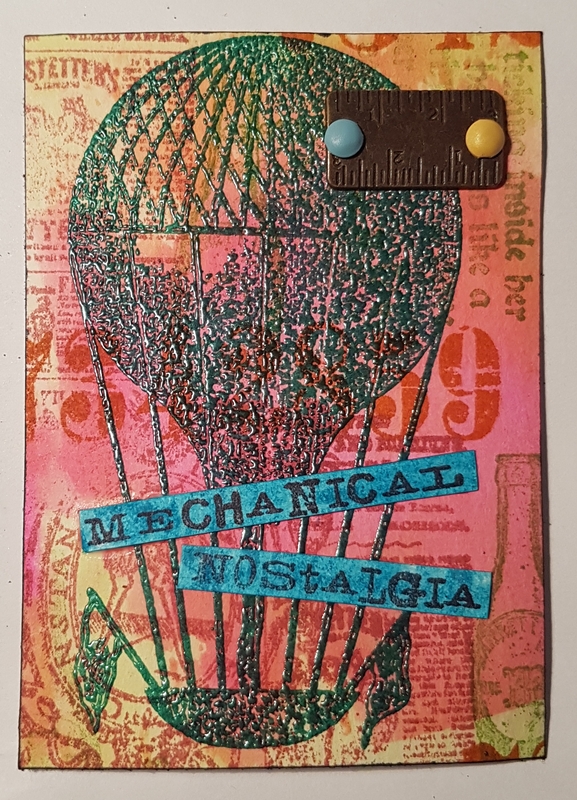 On the balloon one I added distress stain to the sentiment as a nice contrast. I also used coloured brads too. And on the clock man I kept it black and white instead and the brad is a little button one. Love how these both turned out. Bright and cheery and yet wonderfully Steampunk too!